Released earlier this month, Aesop’s latest In Two Minds skincare range was created to balance combination skin. And we’re talking about the oily T-zone and chin, with dry and flaky cheek areas, kind of combination skin. 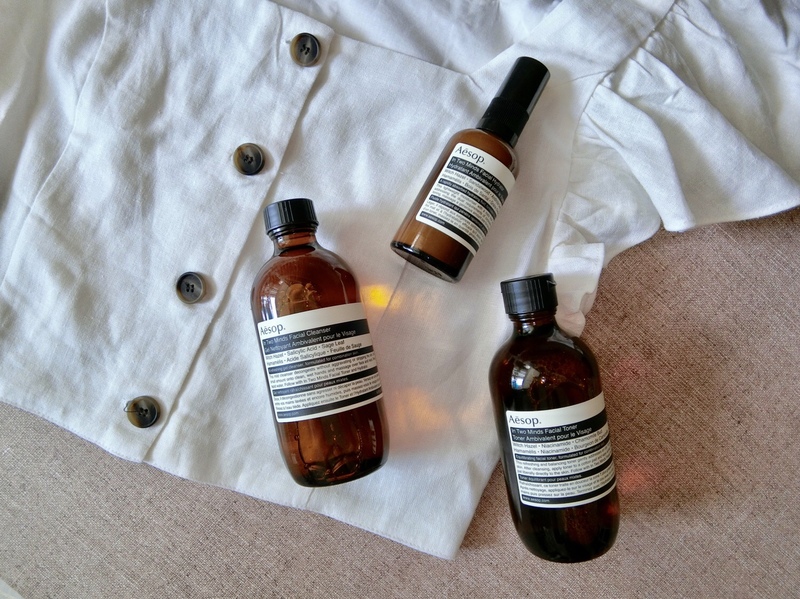 Three years in the making at the brand’s lab in Melbourne, In Two Minds comprises of a cleanser (S$43 for 100ml), toner (S$45 for 100ml), and a hydrator (S$80 for 60ml). The cleanser is a gel-based low-suds formula that is mild but contains witch hazel, sage leaf and salicylic acid for gentle yet thorough cleansing. The toner is a refreshing blend of chamomile, witch hazel, niacinamide and panthenol. It softens and primes the skin for a dose of the lightweight hydrator, which feels rich when dispensed but disappears into the skin with gentle massages. This moisturiser contains anti-inflammatory andiroba oil, copaiba, witch hazel, sandalwood, and acai extracts. It gave my skin a slight tingling sensation, and left it feeling supple throughout the day. My cheeks were moisturised, and the usually greasy T-zone and chin remained matte.